A UK man was fined £90 ($117) after he refused to be scanned by facial recognition camera by obscuring his face, according to The Independent. "He simply pulled up the top of his jumper over the bottom of his face, put his head down and walked past," said Silkie Carlo, director of Big Brother Watch, who added that at least one man had seen placards warning the public of the facial recognition cameras being used from a parked police van. "There was nothing suspicious about him at all … you have the right to avoid [the cameras], you have the right to cover your face. I think he was exercising his rights," said Carlo. Ms Carlo, who was monitoring Thursday’s trial in Romford, London, told The Independent she saw a plainclothed police officer follow the man before a group of officers “pulled him over to one side”. She said they demanded to see the man’s identification, which he gave them, and became “accusatory and aggressive”. A spokesperson for the Metropolitan Police said that officers were instructed to "use their judgement" on whether people who avoid the cameras should be stopped. 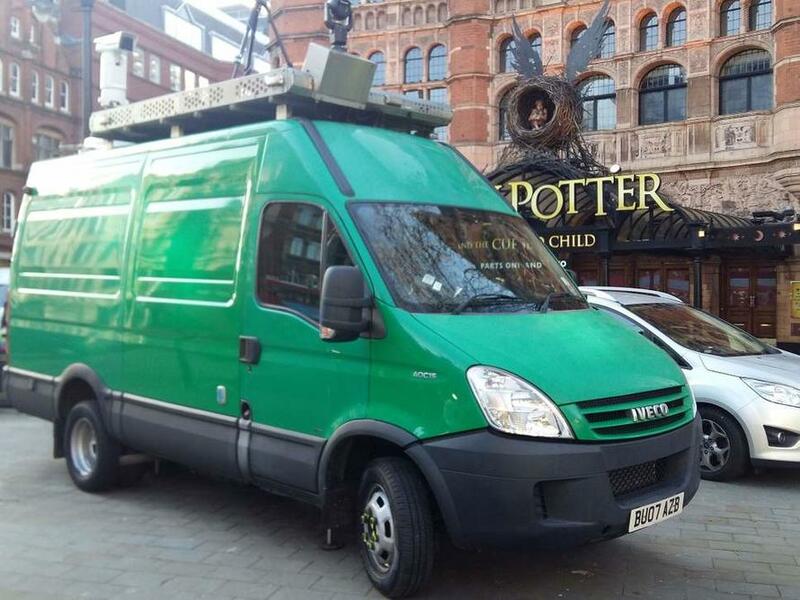 "Officers stopped a man who was seen acting suspiciously in Romford town centre during the deployment of the live facial recognition technology," reads a statement from the police. "After being stopped the man became aggressive and made threats towards officers. He was issued with a penalty notice for disorder as a result." 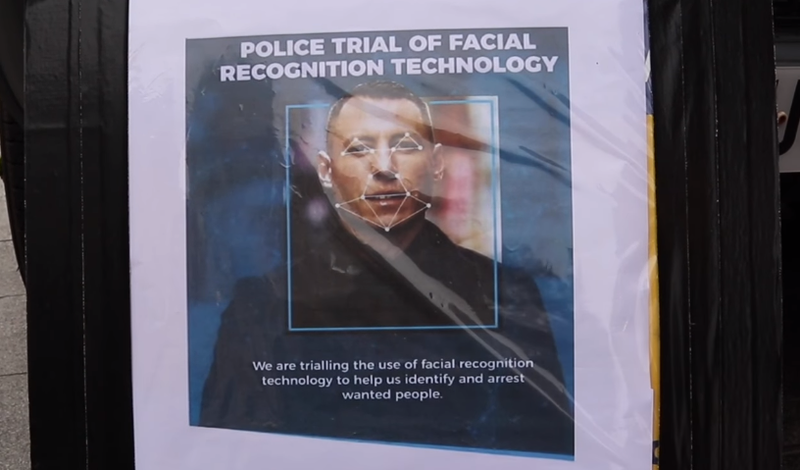 THere were eight arrests during the eight-hour trial, of which three were a direct result of the facial recognition technology according to the report - including a 15-year-old boy who was arrested on suspicion of robbery but released with no further action. A 28-year-old man was arrested on suspicion of false imprisonment and another man, 35-year-old man, was arrested on suspicion of breach of a molestation order. Several other people were seen stopped outside north east London's Romford station, including a student who pulled his hood over his face. Another man was seen handcuffed and thrown into a police van. One youth was stopped because he "looked like someone" on a watchlist, according to activists from the Liberty human rights group. The two-day deployment of the facial recognition cameras was the last of 10 such testbeds of the technology, according to Scotland Yard. The Independent had previously reported that more than £200,000 was spent on six deployments, leading to zero arrests, between August 2016 and July 2018 - while just two people were arrested in December who were wanted for violent offences. The program has been described as being in "shambles" and a waste of public money. Automatic facial recognition software compares live footage of people’s faces to photos from a watchlist of selected images from a police database. Any potential matches are flashed up as an alert to officers, who then compare the faces and decide whether to stop someone. The Metropolitan Police has described the deployments as “overt” and said members of the public were informed facial recognition was being used by posters and leaflets. An independent review of the program will be conducted, according to Detective Chief Superintendent Ivan Balhatchet, who added that "The technology used in Romford forms part of the Met's ongoing efforts to reduce crime in the area, with a specific focus on tackling violence." "As with all previous deployments the technology was used overtly. We continue to engage with many different stakeholders, some who actively challenge our use of this technology."